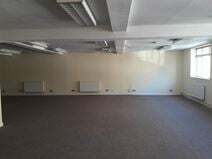 This space is located in Dover Town Centre, surrounded by plenty of shops and amenities, with great links across the rest of Dover and beyond. With the M2 and M20 motorways accessible in just under 15 minutes and plenty of local bus and train routes nearby, you'll never find yourself struggling to commute. The space boasts spacious and bright offices that are suitable for all sized businesses, whether you're just starting up or you're looking to continue expanding. Company signage/branding is available to you and the building is accessible 24 hours a day. There is ample parking nearby and on-site kitchen facilities, giving you all the amenities you'd expect for the modern business environment.